Inflation pressures in America continued to moderate last month, according to a new report from the Bureau of Labor Statistics (BLS). 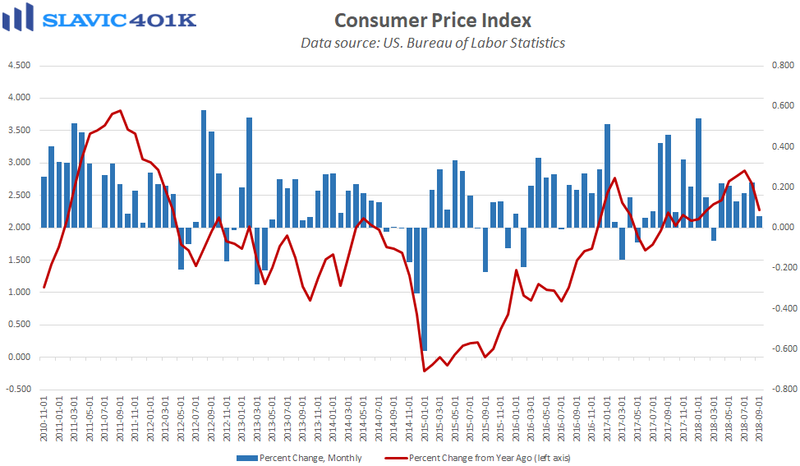 Specifically, the consumer price index (CPI) for all urban consumers rose by 0.2 percent in September, the sixth monthly gain in a row but half the increase economists anticipated. On a year-over-year basis, headline consumer prices lifted in September by 2.3 percent, down from 2.7 percent in August and the weakest pace of annual growth recorded since February. 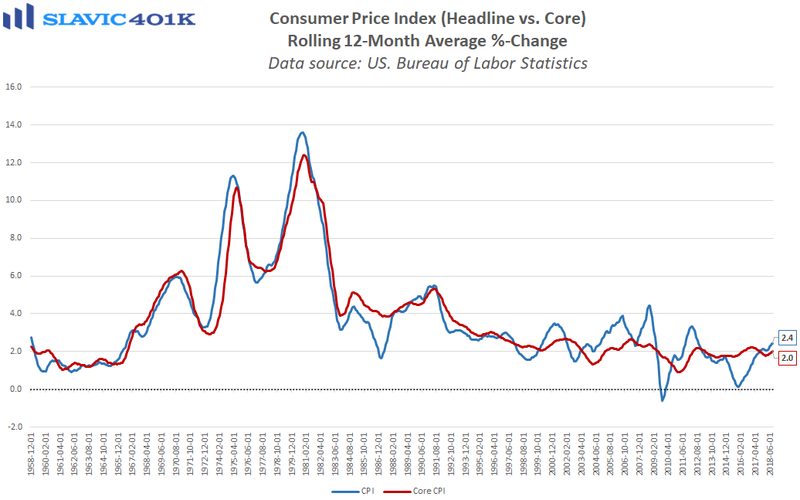 Similarly, core CPI increased by just 0.1 percent last month and 2.2 percent over the past year, both less than expected. The latest cooling of household inflation pressures should be welcomed by Americans since a separate report from the BLS this morning showed that real average hourly earnings growth on an annual basis jumped to 0.5 percent in September, one of the best readings of the current business cycle. 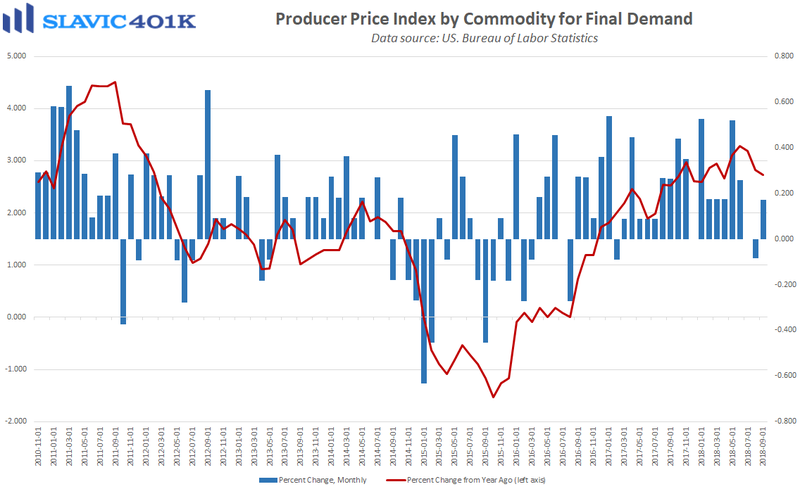 However, the longer-term trend in household inflation still appears higher, and data out earlier this week on wholesale prices showed a rebound in September. 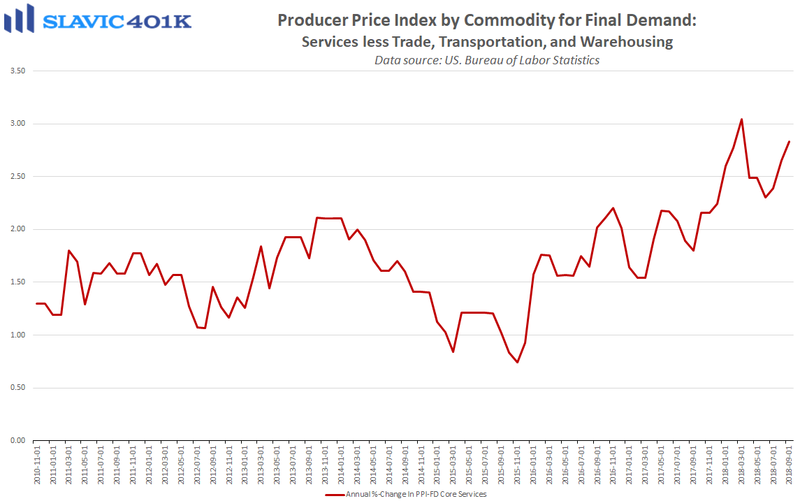 If companies are confident that pricing power remains intact then we will likely see these rising input costs start to be passed on to consumers. 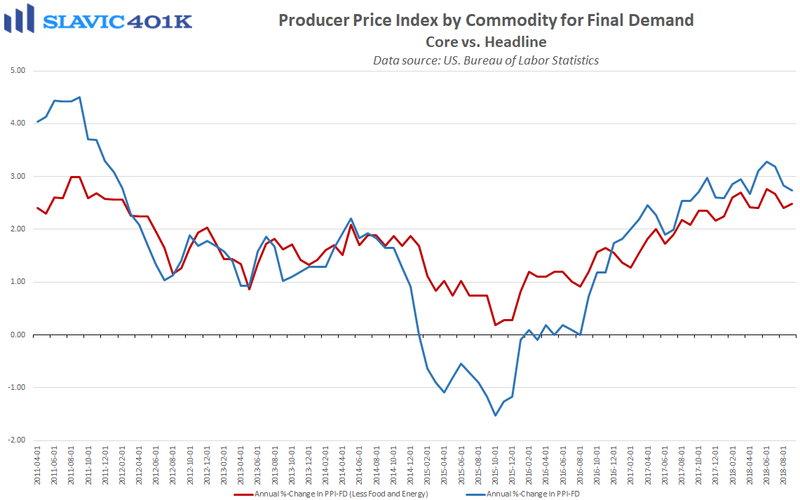 For now, though, the softer inflation print may help calm investors’ recent concerns that the Fed is going to raise interest rates at a faster pace. More importantly, today's CPI report confirms our earlier projection that Social Security recipients will receive a 2.8 percent cost of living adjustment (COLA) in 2019, the largest since 2012.